You scan use the Scale tool to squash, stretch, and resize your elements. From the top menu, select Animation > Tools > Scale. 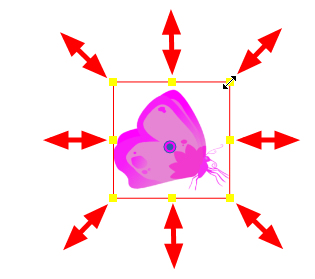 In the Advanced Animation toolbar, click the Scale tool. Pull or push either on the side, top or corner control point. Hold down Shift to lock the selection’s ratio when using the corner control points.